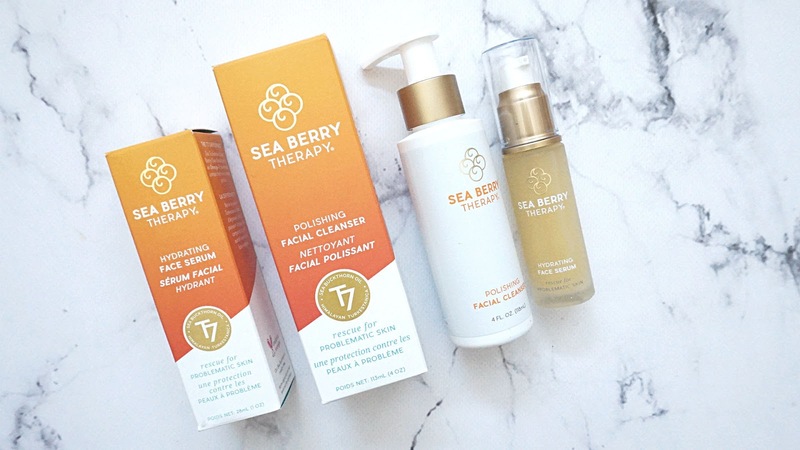 SIBU Sea Berry Therapy has recently rebranded itself to Sea Berry Therapy and I was sent two items to try out. Being a fan of Sea Buckthorn Oil (because of the Fresh Seaberry Nourishing Cream I've raved about for 3 years on this blog now) I am well acquainted with the healing properties of it. If you want to learn more about the company and the oil itself, you can click here. 1. Polishing Facial Cleanser ~ this cleanser is lightweight and works well to cleanse the skin of dirt, oils and make-up. I typically don't wear mascara everyday so I cannot attest to how it removes mascara but it did a thoroughly effective job in removing foundation, eyeliner etc. The cleanser contains small biodegradable jojoba beads that exfoliate the skin and rids it for dead skin cells. It smells very refreshing, a faint citrus scent and wears off quickly and is not overwhelming. My skin felt very cleansed and hydrated after without feeling any residue or dryness. 2. 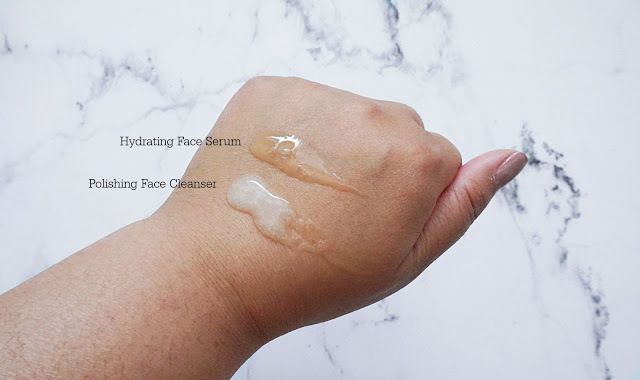 Hydrating Face Serum ~ This serum is packed with Hyaluronic Acid (my favorite for hydration), Seabuckthorn Oil and has the same scent as the cleanser. It absorbs quickly on the skin so you won't feel any weight on the skin. In addition, a little drop goes a long way, in the swatch below, you can very well use it for two applications. The product I really want to try out would be the Miracle Stick as it seems like an all in one product to really keep in the house - it helps with sunburn, windburn, cracked heels, cuticles, eczema, cuts, wounds and insect bites/rashes. It obviously contains the organic sea buckthorn oil and also is made with a coconut oil base.